As someone who learned German a few years ago, and now learning Spanish, I can say that while learning a language is a huge challenge, it is also immensely satisfying. From my experience I am listing down some of the ways and tricks that might help you learn a language you are thinking about. These are very generic tips and can be found in one form or the other even on Wiki or a simple Google search. But do read ahead to get an idea about the apps available that help you master the language in a far lesser time and weigh your ROI, alongside some personally curated experiential learning from my end. Connect with a native speaker. Hands down, the best way to learn a new language is to speak it. Too often, people spend all of their time studying grammar and memorizing lists of words instead of actually going out there and putting what they’ve learned into practice. Speaking with a real, live person will help you to feel much more motivated about learning the language than staring at a book or computer screen. Try to find a friend or colleague who speaks the language you wish to learn and who’d be willing to sit down with you and help you practice. Alternatively, you could try putting ads in local online forums or newspapers to find someone to tutor you or participate in a language exchange. If you can’t find anyone who speaks your language nearby, try to connect with someone on Skype. People in foreign countries are often willing to exchange half an hour of speaking in their native tongue for half an hour of speaking in English. A Hellotalk account is another option. Study the language every day. People often claim to have studied a language “for five years” and still not be fluent. But when they say five years, they probably mean that they studied the language for only a couple of hours a week over that entire time period. Let’s get one thing clear — if you want to learn a new language quickly — that is, in the space of a few weeks or months — you’re going to have to commit to studying the language for a couple of hours per day. Language learning is based on repetition — hammering something into your brain over and over again until you remember it. If you break too long between study sessions, you are much more prone to forget what you learned last time and you will waste valuable study time going back over what you’ve already learned. You can cut down on this wasted time by studying every day. There are no miraculous short cuts when it comes to language learning — you just need to commit. Carry a dictionary at all times. Carrying a dictionary with you will save you a lot of time and frustration, so invest in one as soon as possible!It can be an actual, physical dictionary, or a dictionary app on your phone — you just need to be able to consult it quickly whenever you need a word. Carrying a dictionary will allow you to find the necessary word at a moments notice. This is especially important when you are having a conversation with a native speaker and don’t wish to disrupt the flow of conversation by not being able to remember a word. In addition, looking up the word and using it immediately in a sentence will help you to commit the word to memory. You can also peruse the dictionary at random moments throughout the day — when you’re waiting in line at the grocery store, when you’re on a coffee break at work, or sitting in traffic. You could learn an extra 20 or 30 words a day this way! Watch, listen, read and write in your chosen language. Immersing yourself in a language means doing all of the activities you would normally do in your native tongue, through your new language — whether that’s reading, writing or listening. Possibly the easiest thing you can do is watch television shows or movies in the language you are trying to learn. Try to avoid subtitles, as you will tend to rely on them. To make things easier, try to watch shows or movies whose plots you are already familiar with — like kids’ cartoons or dubbed versions of English movies — knowing the context will help you to decipher the meanings of words and phrases. You should also attempt to read and write in your new language. Get a newspaper or magazine and attempt to read one article a day — looking up any words you don’t understand in your dictionary. You should also try to write a few simple things in your new language –whether it’s a pretend postcard or a shopping list. Download podcasts or tune in to radio stations in your new language. This is a great way to immerse yourself in the language while you’re on the go. Not only does this help with your listening comprehension, it also allows you to hear the correct pronunciation of common words and phrases. Change your language settings on all your electronic devices so that you can pick up words you know already in English but not in the new language. Listen to songs in that language. Try to learn the lyrics, then check what they mean. That way, if you hear it again, you can tell what the conversation is about at that point. Visit a country where your chosen language is spoken. Obviously, it would be a great boost to your language learning skills if you could visit and spend some time in a country where your new language is spoken. Force yourself to interact with the locals — whether you’re asking for directions, completing a transaction in a store, or simply saying hello — and you will gain a new appreciation of the language and its speakers. It doesn’t matter how basic your oral skills are, keep pushing yourself to speak and you will soon notice a vast improvement in your vocabulary, grammar and pronunciation. Learn the alphabet of the language you are learning, if necessary. It will make it significantly easier for you and you will be able to read and pronounce words, which will help you memorize them with greater ease. Plus, it is better for you to be sounding the words. Learn vocabulary. Mastering basic vocabulary is probably one of the most important things you can do when learning a new language. Even if you can’t understand whole sentences, the ability to pick out keywords can help you to understand the general meaning of a speech or text. Focus on 100 most common words. Picking out the most common 100 words in a given language is a clever way to start. From there, you can work your way up to the most common 1000 words. It is estimated that learning the 1000 most common words in a language will allow you to understand 70% of any text. Focus on the vocabulary that is most relevant to you — learn business vocabulary if you’re learning a language for business, don’t waste time learning the words for different species of fish (which you might want to do if you’re traveling to go scuba diving!) You should also learn words and vocabulary that pertain specifically to you, so you’re able to talk about your life and your background to people you meet. Learn to count in the new language. Start off by learning to count to ten, because it is usually the easiest thing to memorize at first. Each day learn a new set of ten numbers, keep going each day until you are satisfied with how high you can count. If you are up for a challenge, memorize all the numbers up to one hundred in one day. Don’t worry too much about grammar. The reason why most people can’t remember most of the language they spent years learning in school is that school curricula tend to focus a huge amount of time on learning grammar and very little time on speech. This is pretty much backwards — if you want to learn a language quickly, you should learn how to converse first. The specifics of grammar will come later. Of course, there’s no denying that grammar is important — you need to learn how to conjugate basic everyday verbs and have some idea of the correct word order in a sentence. The point is that you shouldn’t spend hours and hours learning verb tables by heart, or worrying about the specific circumstances in which a certain preposition can be used. You’ll learn these things as you go along! Work on pronunciation. Pronunciation is another place where you should focus your energies. There’s no point in memorizing hundreds of words and phrases if you pronounce them so oddly that they can’t be understood. Therefore, it’s important that when you learn a word, you learn the pronunciation simultaneously. Pronunciation can be difficult to learn from a book — so this is where chatting with native speakers (or using interactive software programs and applications) comes in handy. You need to actually say the word out loud in order to learn how to pronounce it correctly. If you’re practicing with an actual person, make sure that they’re not too timid to correct you when you pronounce a word incorrectly, otherwise you may never fully get the hang of it. Remember — pronunciation can be the difference between speaking a language well and speaking a language fluently. Do not be afraid to make mistakes.When you’re learning a new language you can’t be afraid to make mistakes, otherwise you won’t get very far.You’re bound to get yourself in a few embarrassing situations, but what’s the big deal? The native speakers might have a good chuckle, but they’ll still appreciate the effort you’re making and be willing to help you out. You are not aiming for perfection here, you are aiming for progress. Making mistakes (and learning from them) will help you to progress. Use Duolingo. Duolingo is a free language learning tool available online and on Android and iOS. Rather than focusing on memorization, it gets users to read and speak their new language by seeing, hearing and internalizing it. Users gain points as they complete lessons, giving Duolingo a fun, game-like feel. Use Memrise. Memrise is another flashcard-style program that allows users to memorize words and phrases using memory tricks, images and other useful tools. Memrise allows users to compete against other users as you complete language-learning activities, making it a fun, non-formal way to learn. Use Babbel. Babbel is a fun, interactive language learning tool, available online and as a mobile application. It can help users to improve their vocabulary, grammar skills and pronunciation. It can also identify your problem areas and offer targeted exercises based on your individual needs. Reward yourself. Find native speakers in your area, find cultural events, music, literature or other media, learn songs and go find a place to sing karaoke, act in a play in that language, etc. This is like rewarding yourself with relaxation for going one level further in the language. Maximize your ROI. Concentrate on learning 70 expressions/words in ANY language that are the most versatile and most frequently used. Over a period of time, say six months, you will find yourself in an advanced position of knowing even the nitty-gritties of the language. Dedication is the key. Have patience and stick to it. A blended approach like the one described above allows each language learner the opportunity to focus on a communicative, academic, linguistic and a self-charted approach in order to internalize a language, which works best for the language learner. 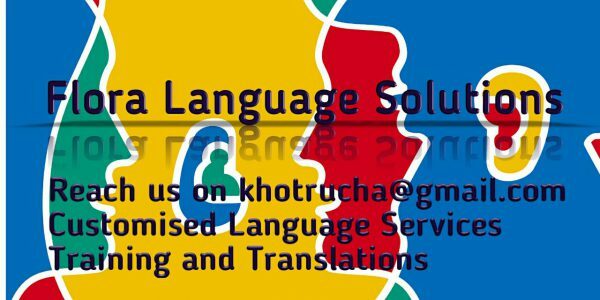 Do write to me about your language learning experience in the comments below. If you need any help or counselling with language learning tricks, I am just a message away. Next Post Laxmi Vilas Palace – The Place and Date Of All Firsts…..